Sometime ago, I have reviewed the cleansing milk by RMK. RMK is a Japanese skincare and cosmetic brand founded by Rumiko. 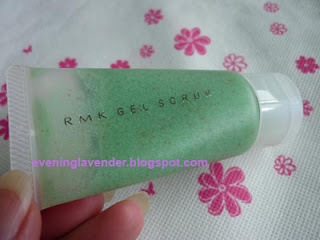 I have purchased 2 deluxe size of the RMK scrub from a friend. I have finished one and I am into my second tube. The gentle exfoliating properties come from a citrus mix extract and 4 diferrent types of scrubs : crushed aloe, peach seed, chamomile flower and soft scrub. each ahs a unique texture, which when combined, gently dissolves sebum that clog pores and eliminates roughness. While exfoliating, other ingredients including kiwi & yeast extracts prenetrate into your skin, leaving a long-lasting hydrated sensation. Refreshing scent of lemon, lime & herbs. Massage gently with circular motion. For deeper absorption, leave on your skin for 1 - 3 mins. Rinse with cole or lukewarm water. Use 2 to 3 times a week in place of your everyday cleanser. I do not have any dislike, perhaps the price is quite steep. Have you tried RMK scrub before? 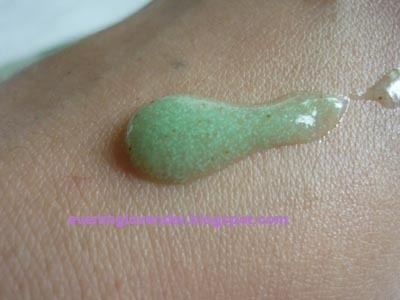 Do share what is your favourite scrub. Thanks and please visit me again for more reviews!